I thought I’d have a little fun here. 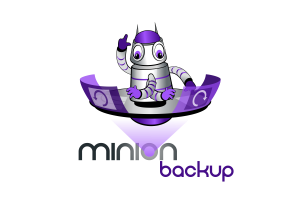 The basis for Minion Backup has been used for years by the MidnightDBA team at various shops. And while it was the inspiration for the current iteration of Minion Backup, the previous non-commercial versions seem so poorly written Sean considers them an embarrassment and they will never see the light of day again. There are portions of Minion Backup that were completely re-written several times as different things came about. The hardest feature to write was the Data Waiter. It was re-written several times before a workable version was found. The Minion Backup suite contains 14,290 lines of code. The features in the Minion suite follow a pattern. A feature is released in one product, and then it gets rolled out into the other products. Then another product gets a new feature that in turn gets rolled out into the other products. So a single product is used as a pilot for a single feature. Our service packs also follow a pattern. Whenever we release a service pack someone reports a bug that would’ve been easily fixed. It doesn’t matter how long we wait. The new bug report will come within a week after release. We didn’t write Minion Backup for the community. We wrote it for ourselves. We just released it to the community because we knew you’d love it as much as we do. While it’s honestly impossible to nail down any one thing, Sean thinks the most useful feature of Minion Backup is the BackupPaths table. However, the feature he’s the most proud of writing is Dynamic Tuning. The feature Jen thinks is the most useful is the pre/post code. And the feature she’s the most proud of is the fact that Minion Backup keeps track of files as they’re moved or copied and even keeps them in the delete rotation. We don’t have a voting system for feature requests. If even one person requests a feature, we’ll put it in if it’s a good idea. We usually don’t add features in service packs, though we’re starting to change that policy. Sometimes there’s just no reason to wait. We seek large customers, or customers with edge case scenarios to perfect our features. We’ve got power users for almost every aspect of the product and we go to them for enhancement ideas and bug fixes. We spend more time supporting Minion Backup than we do any other product. Not because it has more bugs, but because it’s so popular and so configurable. Most issues are configuration related. And we try to document issues like this better, so that means even more documentation. We feel we’ve already overloaded users with too much documentation. But the answers are almost always there if you just look. And while it’s too much for most, someone always appreciates that level of documentation. But yeah, even we think it’s a lot. There were times we were so frustrated with getting a specific feature to work properly we almost scrapped the project completely. Thankfully it was just a momentary tantrum. Not a single feature idea was borrowed from another product. Everything was something we wanted to do. We have had a few users suggest features or enhancements that made it in. People are starting to teach Minion Backup sessions at user groups and conferences. What a great compliment to our product. We honestly never expected that. We never even thought about charging for Minion Backup. It was always going to be a free tool. And even though it’s been suggested to us a number of times that it’s ridiculous for us to put so much effort into a free tool, we still have no plans for it. Most of our feature ideas didn’t occur until we decided to take it public. That seems to contradict #7 where I said we wrote it for ourselves. It kind of happened hand in hand. We decided to take it public, but then we started viewing ourselves as the public and asking ourselves what features we’d want and all the different scenarios we’ve been in over the years. We wanted to cover every single one of them. And we wanted to make it as easy and flexible as possible. This is what proved to be the most difficult. There you go folks, our Minion Backup trivia.